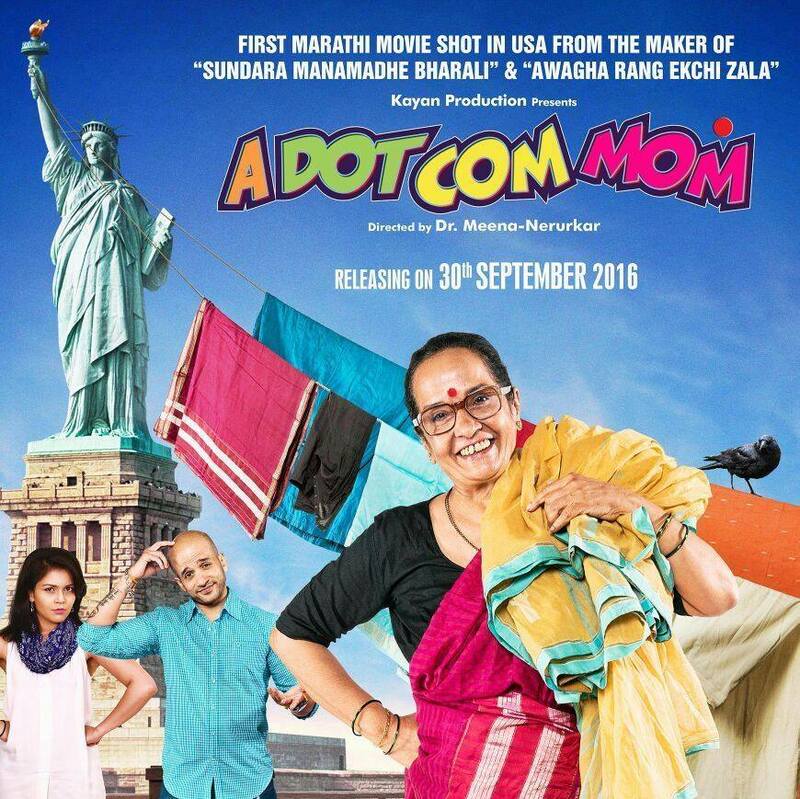 Written and directed by Dr. Meena Nerurkar ‘A Dot Com Mom’ film’s release date and poster just came out on the social media. A DOT COM MOM is a story of a simple middle class mother from a small town. Like any other Indian house wife she works hard to raise her son. Her smart son goes to the USA and becomes super successful. He invites his parents to visit him and his wife to share their success. Only mother goes to the USA. Her son is excited and wants to show her the whole USA. But this simple mother cannot cope with the modern ways of the new country and gets in trouble. Starcast: Vikram Gokhale,Vijay Chavan, Asha Shelar, Ram Kolhatkar Dr.Meena-Nerurkar, Makarand Bhave, Manasi Karandikar, Maduvanti Bhat, Seeyali Siingh, Dr.Deven Gabale, Dawn Scott, Carrie Sullivan, Raphael Dieppa. Watch ‘A Dot Com Mom’ on 30 September 2016 in your nearby theatre. something lіke thіѕ for a ԛuite long time. Thanks for sharing the idea, I saved the web page. I am also in search of data regarding phone locator, are you aware where I might find one thing like this? I’ll return very soon! I just could not go away your web site before suggesting that I really enjoyed the usual info an individual provide to your visitors? blogs? I have a blog based upon on the same subjects you discuss and would love to have you share some stories/information. I know my readers would value your work.